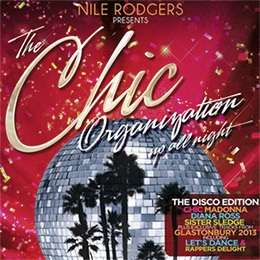 Nile Rodgers presents Up All Night: The Disco Edition. Hitmaker, producer and songwriter. Nile has added his magic touch to more classic disco anthems than you can imagine. Scroll through the line-up below and discover the tracklist for Up All Night: The Disco Edition and see how Nile crossed paths with Madonna, Duran Duran, David Bowie, Diana Ross and many more. The ultimate album of disco anthems to get your party season started in style. Showcasing some of the biggest highlights of Nile Rodgers’ incredible career, including his memorable 2013 Glastonbury setlist. I Want This For Christmastell your friends!